This is a drum that I personally constructed using only the finest of materials. 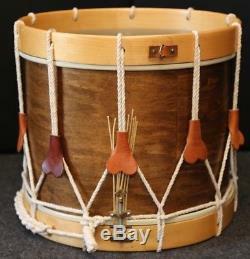 It is a 14"(depth) X 16" (head) Plied Keller Maple shell with reinforcement rings. The hoops are single ply maple, tugs, strainer and sling hook all were acquired from Cooperman Fife & Drum Co. As was the linen rope. 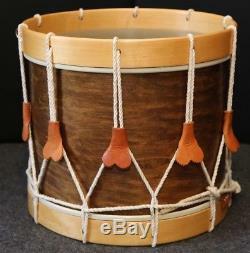 Drum includes Remo Renaissance heads made to look like calf skin (the logos were removed and the metal hoops were sanded and painted) and gut snares. It is was made to be played. Would be perfect for a civil war reenactments and can be used for both Union and Confederate troops. It will stand up to inclement weather due to the drum heads and will take a good bit of abuse. 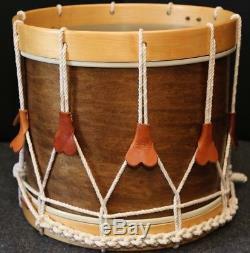 A lot of time and effort went into making this drum and I hate to let it go. I however want it to be played and enjoyed. 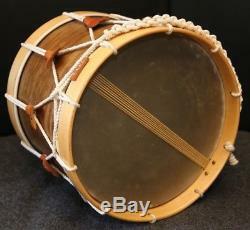 The item "Civil War Style Field Snare Drum" is in sale since Saturday, October 20, 2018. This item is in the category "Collectibles\Militaria\Civil War (1861-65)\Original Period Items\Other Civil War Original Items". 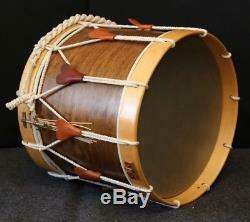 The seller is "drumworldpgh" and is located in Canonsburg, Pennsylvania. This item can be shipped worldwide.